Both were enjoying these wild flowers commonly called scabious although Lo Jardinièr tells me they are really Knautia arvensis. 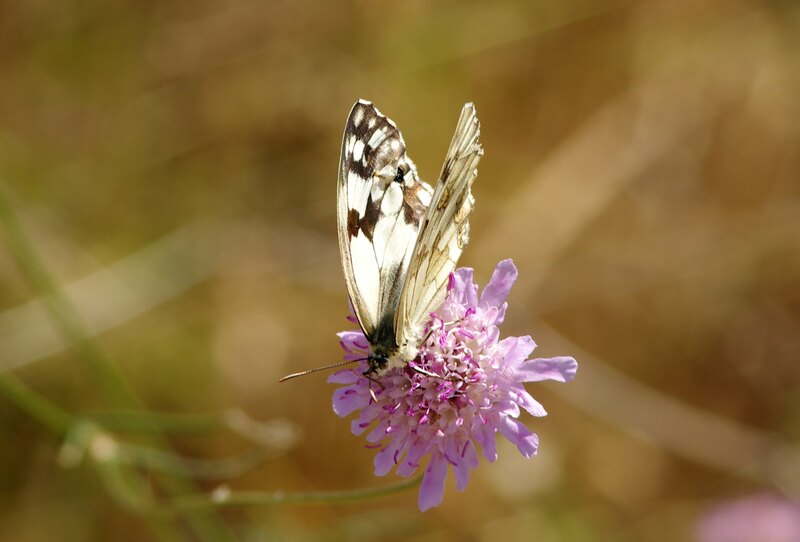 This entry was posted in butterflies, wildlife and tagged butterflies, nature, scabious, wild flowers by chaiselongue1. Bookmark the permalink. Nice to see the butterflies emerging at last. I survey my local area for a project the Natural History Museum in Paris co-ordinates, and the survey results this year have been pathetic. BTW, I think your butterfly IDs are close but not quite right. The top one is a Great Banded Grayling Brintesia circe (the short white band on the underside hind wing distinguishes it from a female Woodland Grayling) and you seem to have an ordinary Marbled White Melanargia galathea (M. occitanica has much more strongly marked veins on the undersides of the wings). 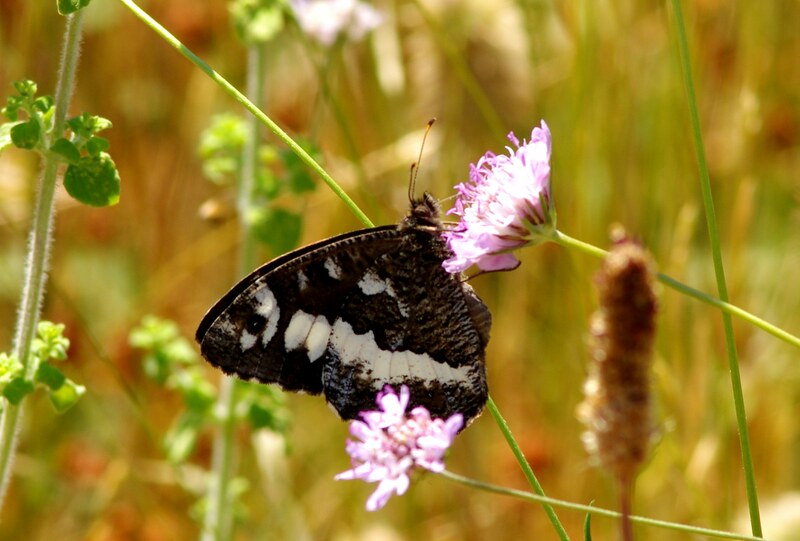 They certainly all love the Field Scabious anyway and are happy to pose for photos while nectaring.